Venezuela's telecommunications authority had banned the German DW channel, a move it has used frequently, but relented under German pressure, and brought the channel's programming back on air. The Venezuelan regime has frequently used censorship to ban content critical of its policies (Twitter). Germany managed to get the Nicolás Maduro regime to reverse its decision to block the signal of its Deutsche Welle (DW) television channel in Spanish. For two days the channel was unavailable in Venezuela. DW left the air on Saturday, April 13. The Maduro made no formal pronouncement about it; nevertheless, in the face of protests from the German government, the dictatorship reversed its decision. The German government also has spoken out; the spokeswoman of the German Ministry of Foreign Affairs described as “regrettable” the decision to remove the Venezuelan cable channel. “Conatel, the entity that regulates and exercises control over telecommunications in Venezuela, has eliminated the Deutsche Welle (DW) signal in Spanish from that country’s cable network. 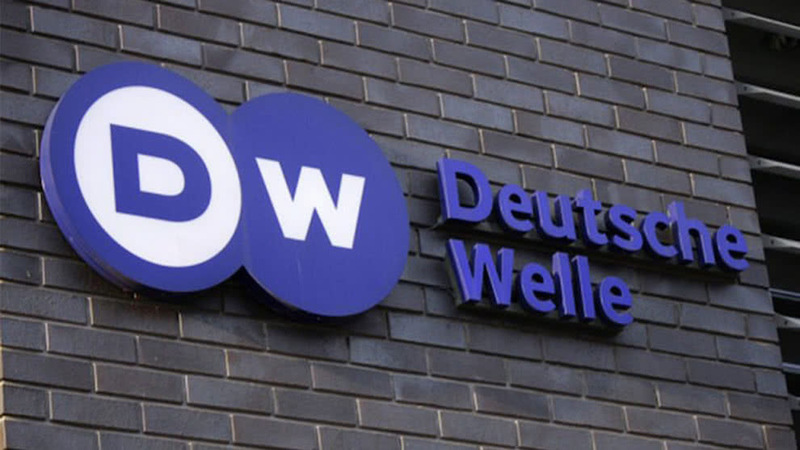 The director general of the channel, Peter Limbourg, has called on the Venezuelan administration to restore the channel’s signal,” DW reported. Although the news channel had not experienced a history of butting heads with Venezuela’s socialist regime, it recently decided to dedicate an exclusive segment to Venezuela, in the wake of the unprecedented humanitarian crisis facing the country. The current coverage is “enriched by the assessment and analysis of DW correspondents in Caracas, interviews, reports and connections with experts from our studios in Berlin, Washington, Brussels, Moscow, and Bogotá,” Limbourg said before the blockade. For its part, the National Association of Journalists (CNP) denounced the development on its Twitter account: “They took the German TV station off the air…the Venezuelan regime insists on censoring the free press by trying to impose communicative silence. #SinPrensaLibreHayDictadura. (Without free press there is dictatorship). Likewise, the National Union of Workers of the Press of Venezuela (SNTP) rejected the decision of Conatel on social media. In recent years, the Maduro regime has ordered the blocking of at least 11 international television channels over coverage of the crisis in Venezuela; among them Colombian channels Caracol, RCN, Cable News, and NTN 24; the Spanish channel Antena 3, the American channel CNN in Spanish and the Chilean channels Canal 24 and TV Chile. On February 22, the dictatorship removed the channels NatGeo and Antena 3 from the operators DirecTV and InterCable cable channel packages, after they transmitted the concert Venezuela Aid Live. According to the internet monitoring site, NetBlocks.org, on that occasion both YouTube and Google were also blocked by the state company Cantv. “Nicolás Maduro insists on silencing the independent press and continues to control the information,” said the Latin America director for Reporters Without Borders, Emmanuel Colombié.